…making bakers the best wizards of them all. How else would you describe having the power to transport someone back in time to their childhood through a single bite of a cookie? It’s magic. And I love sharing this delicious magic with the world. My stepmom used to bake all the time: cookies, pies, you name it. One day, I asked if I could help and it evolved from cracking eggs, to scooping the dough, and then to baking up my first solo batch of chocolate chip cookies when I was about 9 years old. From 6th grade through my senior year of high school I would spend a week every December baking up sweet treats for my friends. This usually involved lots of late nights and my mother’s kitchen becoming a flour covered disaster. Sorry Mom! 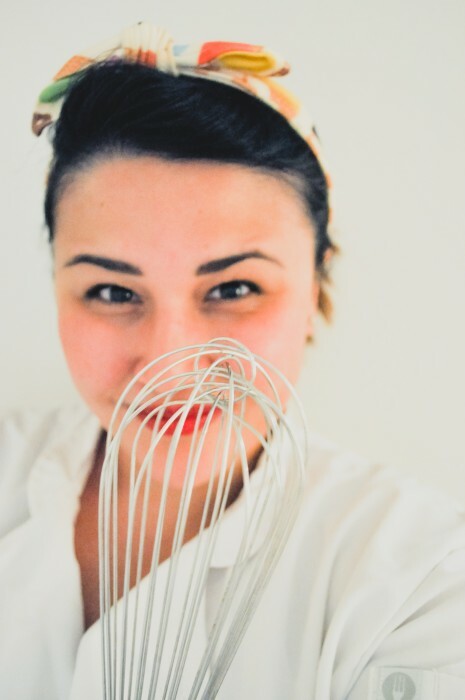 After graduating in 2011 from the University of California – Davis and getting my first adult job, I decided to don my chef coat by night to make my baking dreams a reality. Most of my baking expertise comes from my family, cookbooks, and the incredible classes I’ve had the pleasure of taking at The Gourmandise School of Sweets and Savories. I absolutely love learning new pastry techniques. It constantly inspires me to develop unique flavors and innovative creations for this humble little endeavor affectionately known as “Smashbakes”.